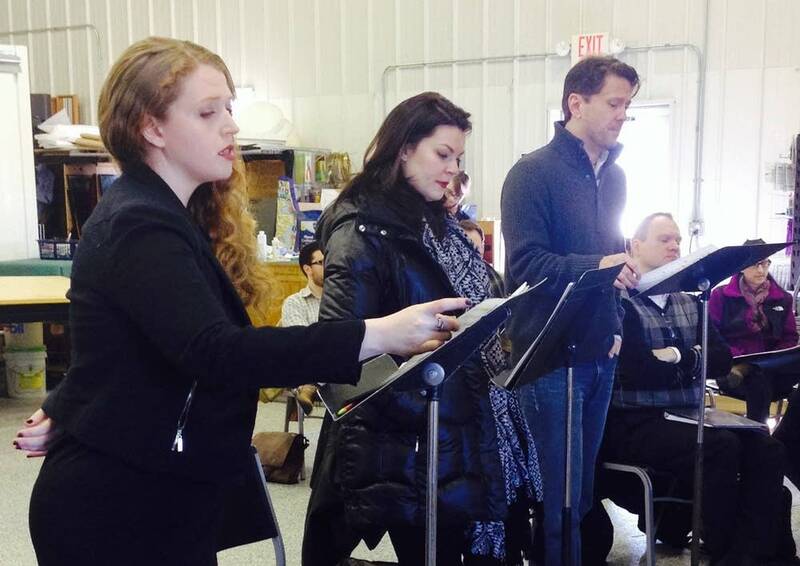 Later this month the Fargo-Moorhead Opera will be performing the first world premieres of its four-and-a-half-decade existence, in collaboration with the NYC-based American Lyric Theater (ALT). To be premiered are a pair of one-act operas titled Buried Alive and Embedded. Both are part of the American Lyric Theatre's "Poe Project," for which a set of new operas have been written in homage to the works of Edgar Allen Poe. The Poe Project operas were commissioned by the ALT in 2009 in honor of what would have been Poe's 200th birthday. The operas will be performed in a double bill on March 28 and 30, at North Dakota State University's Reineke Auditorium. Rather than adapting existing Poe stories into libretti, these operas attempt to conceive of the kind of stories Poe would have written if he were alive today. Buried Alive and Embedded were inspired, respectively, by Poe's stories "The Premature Burial" and "The Cask of Amontillado." The premieres have been in the works for some time now, according to David Hamilton, director of the Fargo-Moorhead Opera. "The whole genesis of this was I heard these [operas] in a concert reading in New York a bit over two years ago," Hamilton said. "I had been looking for something brand new to bring to Fargo, and I thought, 'This could work for us.'" He also remarked that the climate is relatively favorable for new operatic repertoire right now. "There's a lot of new stuff being written right now," he said. "It seems that that is one strategy a lot of companies are using for pulling a new audience, is brand new works." The American Lyric Theatre doesn't put on performances of its own — it serves instead as an "incubator" of new material, bringing together young composers and librettists to collaborate, and then working with other production companies to stage the work it creates. Composer Jeff Myers, who wrote Buried Alive with librettist Quincy Long, applied for the ALT's Composer Librettist Development Program during its first year, 2007, shortly after he left grad school. "I wanted to continue to study music," he said. "(And) I'd never done opera before." Myers said that drafting the libretto for Buried Alive (with Long) took about two years, after which he wrote the music, which took another two years. Then the opera went through a series of workshop performances like the one in New York where Hamilton first heard it and Embedded. Myers said he drew upon Baroque opera, "a little bit" of Wagner, and "a mishmash of modernist elements" in his music for Buried Alive, and that he also incorporated swift musical shifts that strive to emulate jump cuts in film. Hamilton sees the production of the kind of new repertoire being created by the ALT as important for the survival of the operatic art form, and for the survival of companies like his. "I don't think we can keep doing the same 20 operas over and over again and expect the company to grow," he said. Hamilton is excited and optimistic about the success of the premieres. Fargo-Moorhead is the smallest community in the nation to support full-season opera, and to him this production represents a step forward. "Why would you not come? It's cool, it's new, it's something different," he said. "It's a way of showing that we're not just this little city in the frozen tundra with nothing to do." Austin Gerth is a member of the class of 2016 at Concordia College. He also writes for Concordia's student blog, The COBBlog; and Concordia's student newspaper, The Concordian.